As one of the UKs favourite Kazuma dealers, all our machines come built and ready to use. 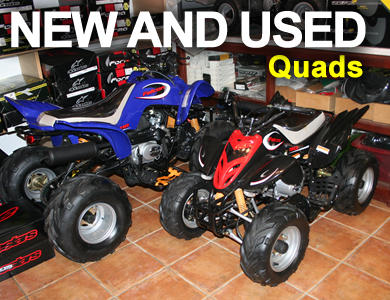 The Kazuma range of quads has class leading specification. - Arrives fully built and checked - drive it off! Visit our Gwent based shop to view all our products, see what great deals we have and take advantage of in-store special offers on clothing and accessories.